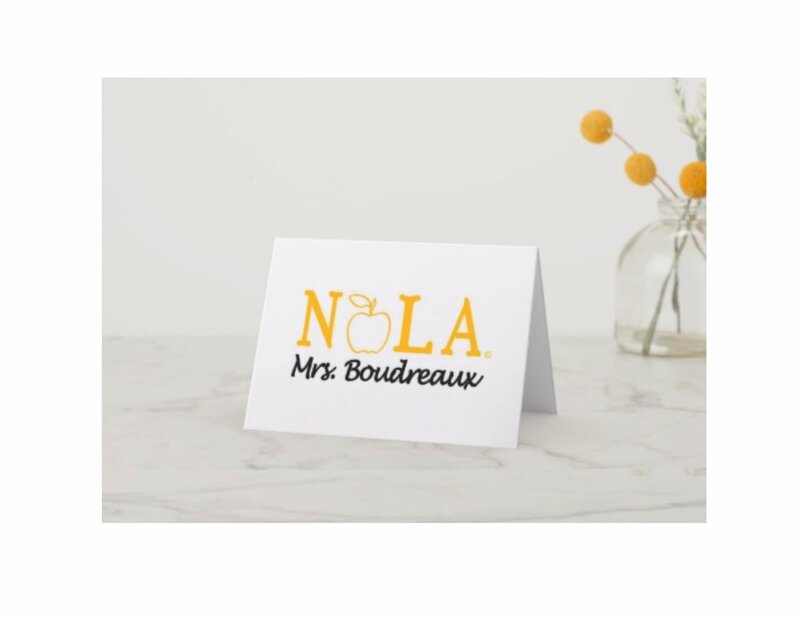 Sheaux those NOLA Teachers how much you appreciate their hard work and allow them to display their professional along and area pride by giving them the NOLA Teacher note cards. Set of 12 for the Price of Ten! With envelopes.